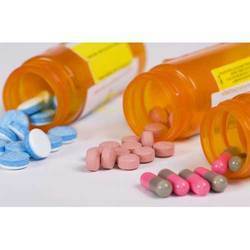 We are a leading Exporter of pharmaceutical tablets and pharmaceutical drugs from Mumbai, India. 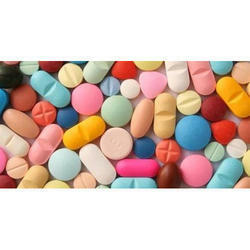 Buy an array of Pharmaceutical Tablets at cost-effective prices from us! We are reputed to be among the leading Suppliers of Pharmaceutical Tablets in Maharashtra. We conduct stringent quality tests on the Tablets, which makes sure that the Tablets' composition is safe, reliable, and efficacious. Moreover, we procure the Tablets from named vendors and make them available to the length and breadth of the country in time. We are specialized in offering of Pharmaceutical Drugs that can be availed in safe packaging and at most economic rates in market. The range offered by us is offered after checking and analyzing them on several quality parameters. Our range is delivered within the committed time frame.